The following policy is in force for any Coast Guard Auxiliarist's testimony before a state or local legislative body. 1. PURPOSE. This Instruction sets forth the policy and procedures for approving official participation and testimony by Coast Guard employees before a non- federal executive or legislative proceeding. 2. ACTION. All commanders and commanding officers shall ensure compliance with this Instruction. Internet release is not authorized. 3. DIRECTIVES AFFECTED. COMDT COGARD WASHINGTON DC 271318Z MAR 07/ALCOAST 156/07 is cancelled. a. Official participation or testimony before a non-federal (e.g., state, local or county government) executive or legislative body by a Coast Guard employee raises the potential for significant risks to Coast Guard policy initiatives and legislative or regulatory objectives. In some circumstances, however, an official appearance before such a proceeding may facilitate mutual policy objectives, advance the interests of the Coast Guard or the Department of Homeland Security (DHS), or reduce the potential for subsequent litigation. For example, in circumstances where there is potential for conflict of laws, it may serve Coast Guard interests to proactively provide input on non-federal legislative or regulatory initiatives in order to avoid preemption issues. This Instruction sets forth Coast Guard policy and procedures governing the participation and testimony of Coast Guard personnel before a proceeding of a non-federal executive or legislative body, consistent with the procedures set forth in reference (a) and paragraph 8.f. of reference (b). b. When in receipt of an invitation to appear and testify, Coast Guard employees shall not commit to an appearance before complying with the clearance procedures set forth below. When necessary, the clearance process can be accelerated to avoid missing an important testimony opportunity. The purpose of this policy and these procedures is to conserve employees’ time for conducting official federal business; to minimize the possibility of involving the Coast Guard in controversial issues not related to Coast Guard missions; and to protect sensitive information and Coast Guard deliberative processes. a. Agency counsel. Staff judge advocates and the legal officer assigned to any other Coast Guard unit or command are delegated the functions of agency counsel for participation and testimony before non-federal executive or legislative proceedings by personnel assigned to their command, or units within their service area, consistent with references (a). b. Governmental affairs officer. An individual assigned to a unit who is responsible for advising commanders on matters relating to dealings and interactions with federal, state, and local governments and governmental bodies. c. Employee. Any current or former Coast Guard employee; any active duty, reserve, retired, or former Coast Guard member; and any Coast Guard Auxiliarist when representing the Coast Guard or the Coast Guard Auxiliary. d. Non-federal executive or legislative body. Any state, county or local government legislative organization or executive agency, including an administrative board, panel or commission. e. Proceeding. Any executive, administrative or legislative event where testimony is provided and a record (e.g., audio, video or court reporter) is made of the testimony or other information provided. f. Testimony. Any written or oral statement by a Coast Guard employee witness at a proceeding, including depositions, answers to interrogatories, affidavits, declarations, legislative views letters, and statements. (2) official Coast Guard comment on non-federal legislation or rule-making. (3) informal briefings to non-federal executive officials or legislative members or staffs where no record is produced. a. Participation and testimony. No Coast Guard employee may participate in, or provide testimony before, a non-federal executive or legislative proceeding without the approval of agency counsel. Agency counsel approval will be based on non-interference with matters of operational or military necessity, alignment with Coast Guard and DHS policy objectives, consideration of political matters and legislative priorities, potential for litigation, and whether such testimony is in the best interests of the Coast Guard, DHS, and the Federal Government. Unit commanders, in consultation with the agency counsel and Governmental Affairs Officer (GAO), must articulate, in writing, the rationale and value of the proposed testimony in light of the factors outlined in paragraph 8 below. In the context of describing how Coast Guard testimony is in the best interests of the Federal Government, it is not sufficient to articulate how Coast Guard presence at the proceeding will serve government interests; the Coast Guard must have a relevant, affirmative message to deliver through oral or written testimony. b. Comment on non-federal legislation or rule-making. No Coast Guard employee is authorized to provide comment on proposed or pending non-federal legislation or rule-making, outside the context of approved testimony at a proceeding, without giving prior notice to the Judge Advocate General (TJAG) and the Director of Governmental and Public Affairs at Headquarters, via the cognizant agency counsel and GAO. a. Federalism. Executive Order 13132 (64 Fed. Reg. 43255 (August 4, 1999)), outlines the fundamental federalism principles inherent in the nation’s constitutional government and requires adherence to these principles in executive policy making. In short, federal agencies should avoid limiting the policy making discretion of the states, except where a problem of national significance exists. When uncertainty regarding the necessity for national action exists, federal agencies are required to consult with appropriate state and local government officials to determine whether federal objectives can be attained by means short of federal regulation of the states. b. Preemption. Executive Order 13132 also explicitly recognizes that, in some circumstances, an exercise of state authority may conflict with the exercise of federal authority. In circumstances of direct conflict of authority, federal law will "preempt" state law. Several states have sought to enact legislation or establish regulations entirely or largely preempted by applicable federal authority, including Coast Guard regulations (e.g., oil spill prevention and recovery regulations). Where state legislative or regulatory initiatives appear to implicate significant preemption concerns, relative to matters within the ambit of Coast Guard statutory or regulatory authorities, it may be beneficial for the Coast Guard to provide testimony for the consideration of state or local government officials in an effort to avoid protracted and costly litigation regarding preemption issues. In addition, unit commanders and agency counsel should review reference (d) for additional policy guidance pertaining to preemption issues. c. Support for Coast Guard Objectives. 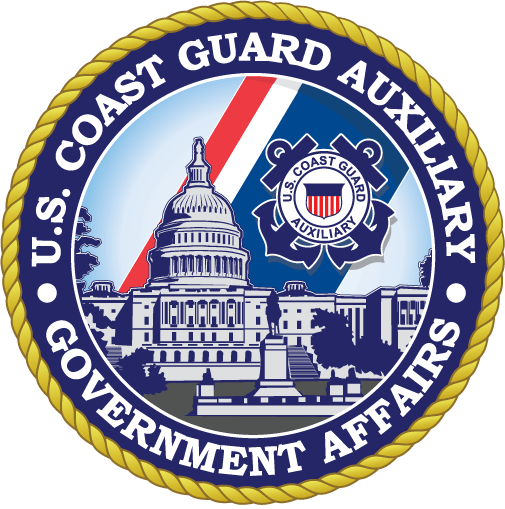 Where a state or local government legislative or regulatory initiative may be consistent with important Coast Guard or DHS objectives, such as disaster preparedness or recreational boating safety, the Coast Guard may educate and inform stakeholders by participating and providing testimony before the non-federal executive or legislative body. d. Purpose of the Proceeding. Non-federal executive or legislative proceedings may be held for various purposes. In most instances, the purpose of these proceedings is to gather relevant information and stakeholder views prior to taking policy or legislative action. In some circumstances, however, proceedings may be planned to serve parochial political interests, focus attention on a specific policy or resource issue, or to seek to criticize federal government action or inaction on a specific topic. Unit commanding officers, agency counsel and GAOs must proactively assess the political climate surrounding any non-federal executive or legislative proceeding for which Coast Guard participation is contemplated and perform thorough risk assessment regarding the potential for unintended consequences, criticism of Coast Guard, DHS, or administration policy, criticism of any pending federal legislative or regulatory matter, or inquiry regarding any pending Coast Guard, DHS, or other federal investigation. e. Consistency with Executive Branch Policy. Coast Guard testimony and public statements must be consistent with Coast Guard and DHS objectives, the President’s annual budget request, and overall executive branch policy. Participation and testimony before a non-federal executive or legislative proceeding raises the potential for statements to be perceived or reported as inconsistent with these national policies, resulting in unintended consequences. f. Official Views on Federal Legislation. Pursuant to Office of Management and Budget (OMB) Circular A-19, any official expression of support for, or opposition to, any pending federal legislation must be cleared through DHS and OMB. Statements or testimony at state and local government hearings may present opportunity for indirect comment on pending federal legislation, or may be perceived or reported as an official position on pending federal legislation without proper clearance. g. Ex-parte Restrictions for Rulemaking. DHS Management Directive 0490.1, containing policy on federal register notices and rules, places restrictions on ex-parte communication once a proposed rule has been published. Accordingly, while Coast Guard participation and testimony may provide factual information regarding a proposed rule or pending rulemaking, statements regarding the process, merits or benefits of a rule, expected publication dates, or regarding public comments received on a proposed rule must be avoided, without specific approval by TJAG and the Department of Homeland Security Office of General Counsel. h. Anti-Lobbying Act Concerns. The Anti-Lobbying Act, 18 U.S.C. § 1913, prohibits Coast Guard members from using appropriated funds, including use of telephone, e-mail systems and preparation of written materials, to influence in any manner a member of Congress "or an official of any government" to favor, adopt or oppose any legislation, law, ratification, policy or appropriation. The Act contains an exception for communication with Congress "through proper official channels" (e.g., proper communications between district commanders and Congressional delegations, COMDT (CG-0947) and COMDT (CG-0921) on legislation, and CG-8 on appropriations requests). State and local government proceedings present a potential pitfall for Coast Guard witnesses to engage, in fact or appearance, in the prohibited activity of encouraging state or local officials to initiate or support proposals to Congress, or otherwise lobby Congress. (1) Upon receipt of a written invitation to participate in a proceeding, or upon notice of a scheduled proceeding, the unit or staff considering participation shall consult with the cognizant GAO and agency counsel to provide notice of the proceeding and to prepare the request for participation and clearance of testimony. Initial notification to the chain of command may be via e-mail or telephone. Personnel should not commit to an appearance in advance of complying with the approval procedures contained in this Instruction. (f) Describe how Coast Guard participation in the proceeding may tend to interfere with or otherwise affect Coast Guard missions. (3) At least 10 working days in advance of the proceeding, forward the written request to the servicing legal office, copy to the GAO. If the initial request is made less than 10 working days in advance of the proceeding, the request must include a description of the exceptional circumstances sufficient to warrant a waiver of the normal review standards and a timeline detailing the date that the invitation to participate, or notice of the proceeding, was received. (4) Identify a proposed witness and prepare draft testimony. It is not sufficient to articulate how Coast Guard presence at the proceeding will serve government interests. The Coast Guard must have a relevant, affirmative message to deliver through oral or written testimony to warrant approval of the appearance. (a) For general guidance on developing testimony, refer to the Congressional Hearings Witness Guide, available on CG Central at: http://cgcentralweb.uscg.mil/cLink/1966 . (b) For archived testimony and other background documents, contact the External Coordination Division (CG-823) within the Office of Budget and Programs, Commandant (CG-82). (5) At least five working days in advance of the proceeding, forward the draft testimony to the servicing legal office, copy to the GAO. (3) If recommending approval after consultation with the GAO, agency counsel shall forward the request via the appropriate chain of command, at least five working days in advance of the proceeding, to the Office of Legislation (COMDT (CG-0947)), copy the Office of Congressional Affairs (COMDT (CG-0921)), with a specific recommendation for approval of participation, pending development of testimony. (4) Once approval of the participation is received, the agency counsel and GAO will consult with the unit or staff element to develop effective testimony. Agency counsel will forward the proposed testimony to COMDT (CG-0947), copy COMDT (CG-0921), for final approval. (3) The testimony is strictly limited to RBS and, significantly, does not express views on, among other things, legislative change proposals, legislative initiatives, rule-making, or pending federal or non-federal legislation. (g) prepare a record of approval or disapproval of the participation, framed in terms of the purposes contained in paragraph 4, and the factors identified in paragraph 8. (a) Upon receipt of a request for participation and testimony, TJAG will consult with COMDT (CG-092) and appropriate Assistant Commandants, based on the subject matter of the proceeding and, with the concurrence of COMDT (CG-092), will approve or disapprove the request to participate. (b) Upon receipt of draft testimony, TJAG will consult with COMDT (CG-092), COMDT (CG-8) and other appropriate Assistant Commandants regarding recommended testimony and, with the concurrence of COMDT (CG-092), will approve or disapprove the testimony IAW reference (c). (c) TJAG, in his or her sole discretion, may authorize the agency counsel to approve the testimony. (d) TJAG, with the concurrence of COMDT (CG-092), may waive the time standards set forth in paragraph 9 above, if the circumstances require a shorter approval cycle. 10. COMMENT ON NON-FEDERAL LEGISLATION OR RULEMAKING. Any unit recommending official Coast Guard comment on proposed or pending non-federal legislation or rulemaking, outside the context of approved testimony at a proceeding, shall provide written notice (e-mail format is sufficient), at least three working days in advance of transmittal of the official comment, to agency counsel, copy to the GAO. Agency counsel will forward to COMDT (CG-0947) and COMDT (CG-0921). In addition, unit commanders and agency counsel should review reference (e) for additional policy guidance pertaining to preemption issues. 11. ENVIRONMENTAL ASPECTS/CONCERNS. Environmental considerations were examined in the development of this Instruction and have been determined to be not applicable.